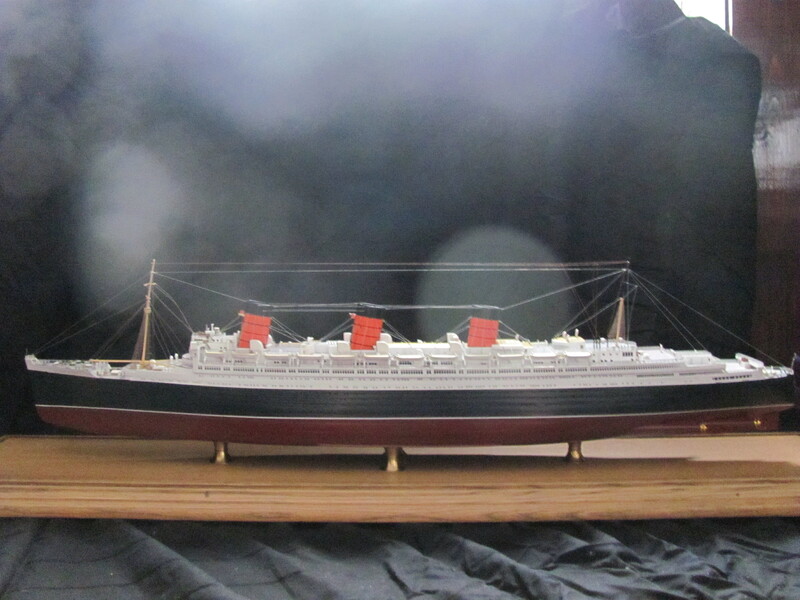 This scale model of Queen Mary is over 3 feet long and built from metal, wire, plastic, and pewter. It is one of only a few ever built in the world by a company called Maritime Replicas. Since only a few were built, it cost approximately $3,800.00. But the model is worth it due to its rarity, craftsmanship, and extraordinary scale. The photos do not do it justice. Presently, I have an extremely rare, perhaps one of a kind, waterline model which is 5 1/2 foot long being refurbished. 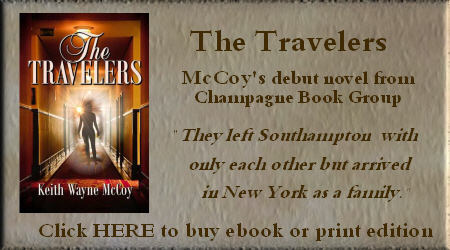 It was used as a travel agency display in the 30s, 40s, and 50s in New York. It will be necessary to send this particular model freight. I will have a table built to accomodate it and place it behind my living room sofa which is, thankfully, an inch longer so that the display will not be wider. 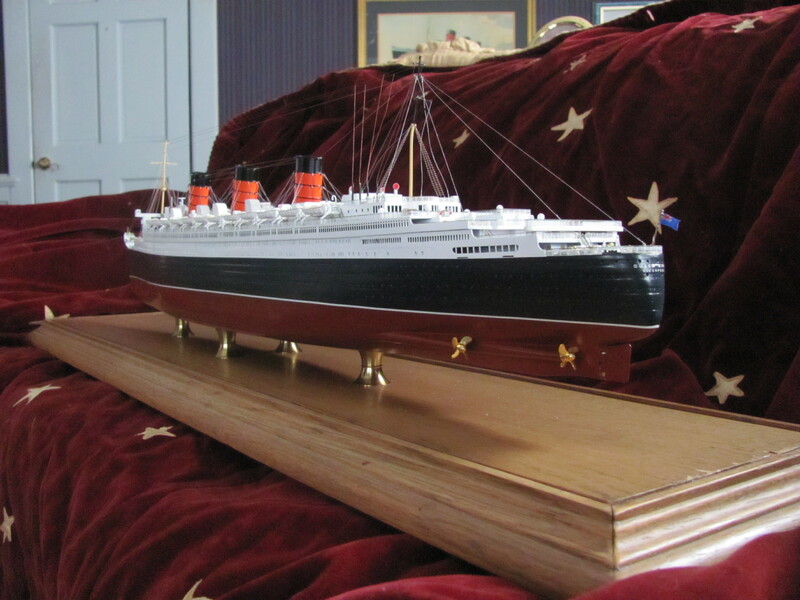 I am anxious to receive it and builder/refurbisher Ered Matthew of CabinClass.com states that it is the finest waterline model of a ship he has ever encountered. I use the 3 foot long model for school and library presentations, most recently the “Read Aloud Day” at Eldorado Elementary for a fifth-grade class. Students are read period pieces concerning the building of the ship, the launch, the maiden voyage, and the present day existence of her majesty as a hotel, tourist attraction, and museum. By the fifth grade, most students are capable of imagining a ship as long as the Empire State Building is tall lying on its side in the water. As students a row at a time stand and inspect the model, awe and wonder always ensue and the questions last for a considerable time.